In a state of nature, Hobbes describes life as “nasty, brutish, and short” (The Leviathan, Ch. XIII para. 9). His view of the natural state of man is dark and pessimistic. He describes a condition in which everyone must fend for themselves: “…during the time men live without a common power to keep them all in awe, they are in that condition which is called war; and such a war as is of every man against every man” (para. 8). He sees government as a necessary entity to save one from this undesirable state. Locke paints a similar picture but with a few notable inclusions that give it a sense of heritage and makes it seem suitable as a foundation for modern society. He suggests that certain rights from this natural state should be preserved even in the jurisdiction of a governing body. In this state of nature, I would concur with Locke that I have natural rights that I do not wish to infringed upon by any government that I may consent to. 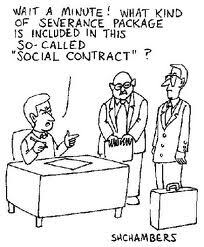 I can agree with Hobbes that a social contract would be necessary to escape this dark state without any order. 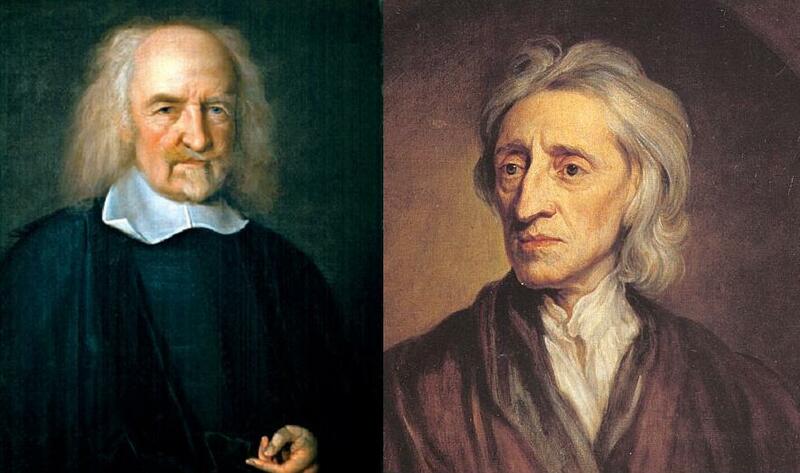 While Hobbes insists that government rule should be hindered as little as possible, Locke counters that its sovereignty must be limited in respect to the preservation of one’s natural rights. These natural rights are one’s due of life, liberty, and property. I would more readily consent to a government that respects these rights as my own than to an absolute monarchy as Hobbes would likely suggest. Locke envisioned aspects of the state of nature transcending into a governed society while Hobbes saw it as something in its entirety that needed to be escaped. It is a state of war that offers no security with low probability of survival. One must consent to a sovereign government in order to retain peace. A citizen is obligated to obey this government even if they disagree with its actions. Hobbes’ extreme view of nature is paralleled by his extreme view of favoring monarchism. 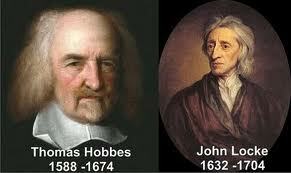 But Hobbes also introduced the idea of the natural equality of man. He states: “…though there be found one man sometimes manifestly stronger in body or of quicker mind than another, yet when all is reckoned together the difference between man and man is not so considerable…” (para. 1) In order for me to consent to a government, it would have to recognize this natural balance among people and work to preserve it in society. In addition, I would expect the inclusion of religious freedoms as described by Locke. Building on this, a government should also respect every religion and also the rights of atheists. A separation of church and state is vital for the survival and quality of any modern society. I could not consent to a government founded on specific religious views, even if they were my own. An important aspect of equality is religious toleration. A vital goal of the social contract is to avoid a state of war and religious persecution often leads to turmoil and disruption of societies. Perhaps most importantly, is the right of revolution when one is being governed by an entity that is no longer looking out for the best interest of its people. When consenting to a government, it is prudent that the consented remember this. It is a proper government’s duty to protect its people from invaders and to respect and facilitate their way of life. If a government turns on its people, this could lead to its citizens questioning its sovereignty and integrity, leading to civil war. When civil war erupts, if it is just in its cause, one is obligated to fight against tyranny and establish a proper ruling body. But Locke states that when there is order, as provided by a publicly recognized sovereignty, one must obey its laws and pay taxes due. Revolution is a last stand, a desperate measure of an oppressed people. In this state of nature, I would properly consent to a government that respected its citizen’s natural rights, including religious rights. Also, I would expect this government to be limited by some degree. Separation of powers amongst several legislative bodies would be a essential aspect of this government. As Locke describes, a single ruling entity is not much better than in a state of nature by relying on this ruler to judge and monitor themselves. A desirable government would incorporate checks and balances into its operation in order to better preserve the rights and liberties of its people. I would feel the need to consent to this government in order better achieve my own goal of happiness and tranquility. I would no longer live under constant fear of my life and property. By fulfilling my obligations as a citizen, I will enjoy the comfort afforded by a ruling body formed under a social contract.